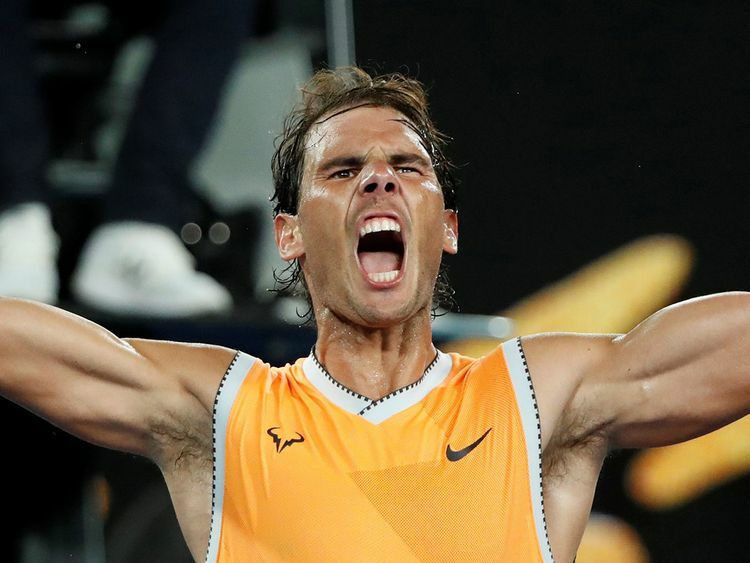 Melbourne: Rafa Nadal ended Stefanos Tsitsipas's trailblazing run at the Australian Open on Thursday, serving up a semi-final masterclass to blitz the 20-year-old Greek 6-2 6-4 6-0 and reach his fifth final at Melbourne Park. "It has been a great match, a great touanrment, I think I've played very well every day," the 32-year-old said in his courtside interview after a pumped-up celebration. "After a lot of months without playing, probably this court, this crowd gives me unbelievable energy. At that moment (in Brisbane), it was very difficult to imagine I would be here." It was also difficult to imagine his opponent would have been Tsitsipas, who had shocked some of the Tour's most seasoned campaigners to become his country's first Grand Slam semi-finalist.